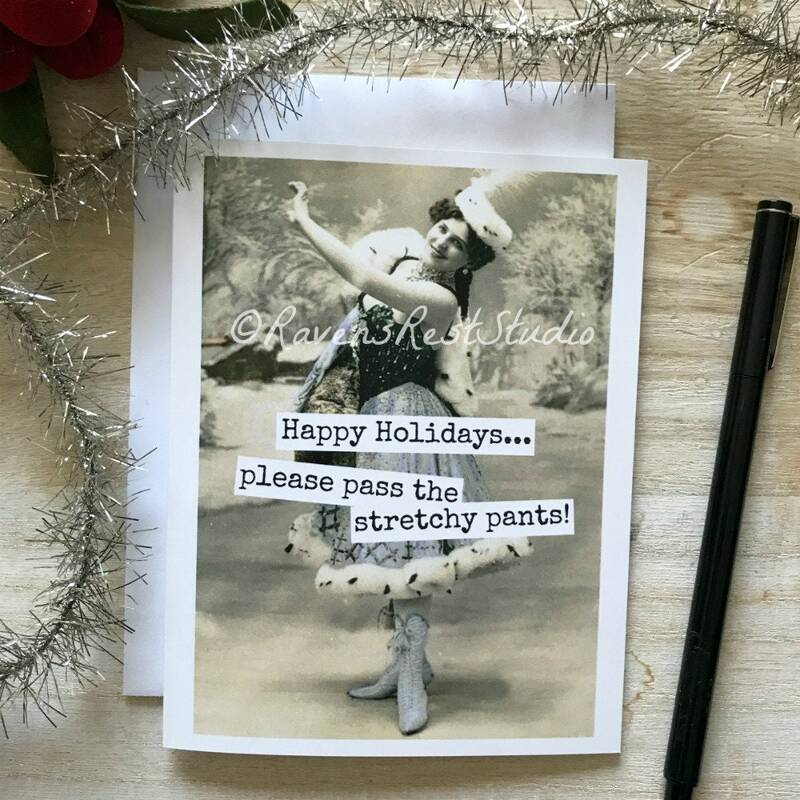 This card features a vintage woman in the snow and reads: "Happy Holidays... please pass the stretchy pants!". Bought several and all my friends loved it. An extra card was thrown in at no charge-super!